Graphs showing the difference. A significant deviation would result in the trade, where the strategy would sell the expensive side and buy the cheap one. Once the prices converge the strategy will close off the position. 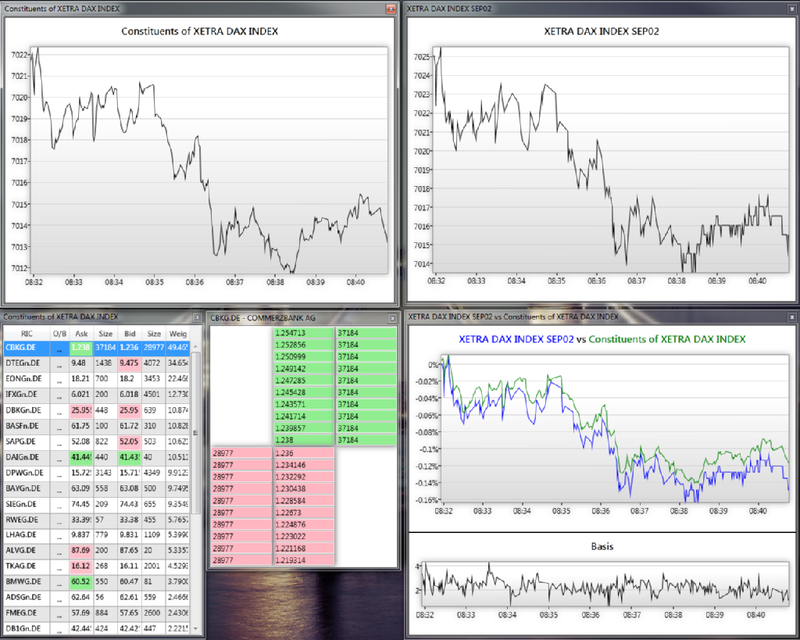 Trade Blotter screen with real-time updates. 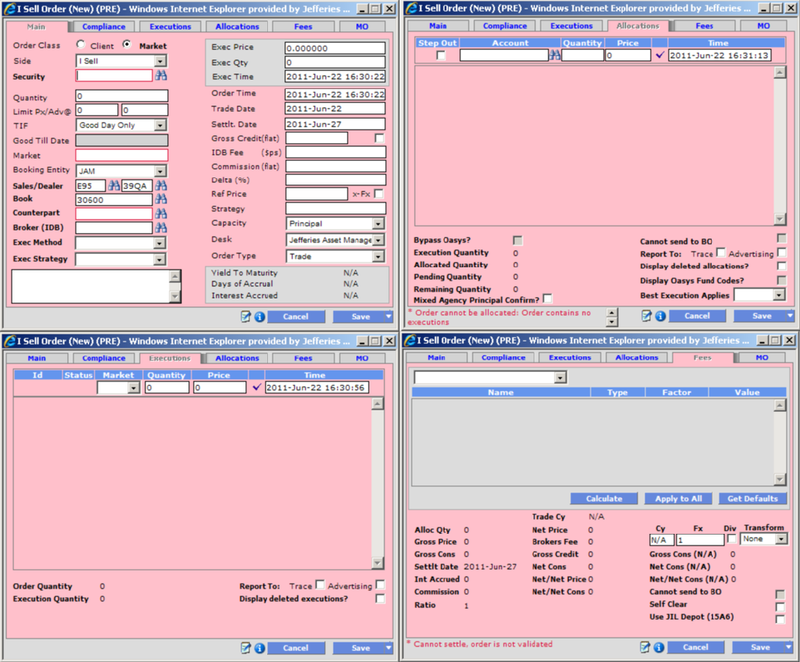 The implementation allowed to load up to 20,000 trades while all of them are updated frequently using very little resources.